Daniel P. Duffy was recently appointed by the Illinois Supreme Court to the countywide vacancy created by the retirement of Judge Susan Ruscitti-Grussel. Duffy assumed his judicial duties on April 3; his appointment expires on December 5, 2016. At the time of his appointment, Duffy was a shareholder in the Chicago office of Peterson, Johnson & Murray, S.C. According to his firm biography, Duffy took his undergraduate and law degrees from the University of Notre Dame, in 1987 and 1993 respectively. In between he earned an M.B.A. from Vanderbilt University (graduating in 1989). Licensed in both Wisconsin and (since 1995) in Illinois, Duffy has served, according to the Peterson website, as a member of the Attorney Registration and Disciplinary Commission’s Review Board; as a Hearing Officer for the Metropolitan Water Reclamation District; and, since 2002, pursuant to Circuit Court appointment, as Cook County Special State’s Attorney, defending various civil rights suits brought against the Cook County Sheriff’s Office and current and former officials associated with the office. A personal aside: Yes, this post is late -- inasmuch Judge Duffy is already on the bench -- but somehow I missed the appointment order when it was entered. Fortunately for me, I have smart, attentive readers, one of whom called my attention to my omission and got me looking into this. I am grateful. Twelve of them were on the "short list." 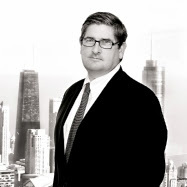 There is, as yet, no confirmation from the Administrative Office of the Illinois Courts of the identities of the 13 new Cook County Associate Judges but a list provided to FWIW earlier today has been subsequently confirmed by Scott Cisek, Executive Director of the Cook County Democratic Party (Mr. Cisek was not willing to go on the record as to how he confirmed the list, but he expressed a high degree of confidence in the list's accuracy). Only two currently sitting judges, Judge Ahern and Judge Otto, made the short list promulgated by the Circuit Court Nominating Committee. But three -- Ahern, Otto, and Judge Peter J. Vilkelis -- were apparently selected by their colleagues on the bench. In other words, Judge Vilkelis apparently won as a "write in" candidate. Now, as noted, I've reached out to the AOIC for confirmation here and also to Judge Vilkelis and I'm awaiting confirmation and comment and I'll amend this post or add a new one as necessary, but that's where matters stand at the moment. UPDATE: It's official now; the press release has been posted. A number of recent polls have put Illinois in the news, and not in a good way. Lest the reader think that it's just that Gallup has something against our fair state, the Paul Simon Public Policy Institute at Southern Illinois University recently published survey results revealing that "[o]verwhelming majorities of Illinois voters believe political corruption is the norm for both federal and state governments." The good news, sort of, is that, while 89% of Illinois residents "feel corruption is somewhat common in the state" (with 53% believing that corruption is very common) and 79% "say corruption at the federal level is at least somewhat common" (with 45% saying federal corruption is very common), a comparatively smaller group of 'only' 62% Illinois residents "believe county or city political corruption is at least somewhat common" (with 35% believing local corruption to be very common). This merely moderately cynical view of local corruption did not apply to survey respondents from Chicago. Eighty-five percent of Chicagoans "believe county or city political corruption is at least somewhat common" -- and a staggering 55% believe local corruption to be very common. Nearly 30% (29.5%) of Chicagoans think that local corruption has an impact on our daily lives, while an equal number believe that local corruption has "a good amount" of impact on our daily activity. Another 31.5% of Chicagoans believe that local corruption has some, although not much, impact on daily life. It is this toxic environment in which lawyers and judges function in Cook County. Read Second City Cop sometime. If you slog through the comments to almost any post you may come away thinking that most cops believe that all judges are corrupt or incompetent and that all lawyers are "bottom feeders" (especially those who pursue civil rights claims against police officers). But, then, you won't have to go far on the Internet to find sites where cops are dismissed as incorrigible liars or jack-booted thugs. It is easy to affect an attitude of brittle, knowing cynicism in this climate, to let on that we know the game is rigged, the players juiced, the outcomes preordained. Indeed, to assert otherwise, to state that things are generally on the up-and-up, that most lawyers zealously represent their clients within the constraints of legal ethics, that judges typically try diligently to ascertain and apply the law, that witnesses (even police officers!) generally take their oaths seriously, puts one at risk of being branded a hopelessly Panglossian naif. Or perhaps a Machine Mouthpiece or Useful Idiot. It is a dangerous balancing act: As Chicago lawyers we can not uncritically accept the status quo -- there is all too much truth in the public's perception of pervasive public corruption -- but neither can we contribute unfairly to that perception. As Law Day approaches this week, therefore, lawyers should keep in mind Justice Michael Hyman's statements from his concurring opinion in Talamine v. Apartment Finders, Inc., 2013 IL App (1st) 121201, ¶17-18, "Every ad hominem smear, insult, and innuendo, every speculative accusation, every potshot leveled at members of the judiciary has the capacity of weakening confidence in the judiciary as a whole, confidence which is essential to the vitality of our legal system. * * * [E]very personal attack on the impartiality and integrity of judges diminishes the client's (and the public's) already limited trust in the fairness of the legal system. Until lawyers restrain their bashing of judges, the public's confidence in the judicial process will remain fragile." Justice Hyman is right, of course. But public confidence will not be restored simply because we lawyers refrain from personal criticisms of judges. Nor is it enough to be 'civil' to one another, as the Supreme Court (rightly) encourages us. Illinois (and particularly Cook County) lawyers have to deal with -- and work to reverse -- the public's negative perceptions. We can't do that wearing blinders or rose-colored glasses; we have to begin by being proudly beyond reproach ourselves and intolerant of sloth and corruption in the system we serve. We have to become reformers ourselves; we have to become goo-goos. We have to help fix our broken system, changing perceptions by changing reality. We just have to factually illuminate how things work, and how things are supposed to work, to our clients, to our friends, to our neighbors; that alone will bring positive change. As Justice Louis Brandeis said a century ago, "Sunlight is said to be the best of disinfectants." Service tax again being floated for lawyers -- beware! Burns envisions a Chicago-only sales tax on services that would be considerably lower than the general sales tax and confined to “high-end” professional services like attorneys, accountants, lawn care and computer services. “I would draw the line on services like haircuts and hairdressers. You want to avoid taxing everyday people. We have to keep the city affordable,” Burns said. In larger firms, it would presumably be fairly easy to rewrite billing software to include the tax. Heck, even in a one-horse operation like my own, I have a calculator on my computer. I can figure out a 5% or 6% tax easily enough. When (and if) the bill is paid, where does the tax money go? Can it be deposited in the firm account? We're lucky to get clients to write one check for fees; we can't possibly expect a fee check and tax check, too. Must every check be washed through an IOLTA account? For the anxious solo looking to cover the phone bill or the mollify the landlord, that extra delay could be problematic in the extreme. Assuming that the fee checks still can be deposited in the firm account, hasn't the City just acquired some sort of right to access to our books and records, to make certain that we are levying and collecting the tax? What sort of ethical obligations would that trigger? What sort of documentation will be required to establish compliance to the City's satisfaction? And how often will we have to show compliance? Weekly? Monthly? Quarterly? Solo practitioners like myself will have to demonstrate compliance by ourselves. It would be just another unproductive task added to our workday. And what if the fee bill isn't paid? Even the silk-stocking firms have occasional issues with collections. Every solo I know has stories of sending out bills that they knew would never get paid. The tax would be payable only upon receipt, wouldn't it Ald. Burns? And what about the client that "negotiates" his or her bill after the fact? That $2,000 bill? (Maybe it's $2,100 with the service tax.) I'll give you $750, and you should think it's Christmas, the client says. Maybe you get the client to eventually pay $1,000. The service tax would be payable pro rata, right Ald. Burns? The City's pension shortfall is real. Money is going to have to be found somewhere. But a "service tax" on lawyers' fees is not going to be simple to implement or easy to collect. And there will be costs on the City's part for enforcement and regulation (someone is going to have to draft and, eventually, read the compliance forms, for example). The old expression, "the devil is in the details," seems particularly apt here. We don't yet know the details. Right now, though, I think that devil is grinning. The Illinois Supreme Court has appointed criminal defense attorney Marc William Martin to an 11th Subcircuit vacancy created by the retirement of Judge Carol A. Kelly. Martin's appointment is effective May 1 and terminates on December 5, 2016. Martin has been an attorney in Illinois since 1987. Martin was most recently in the news as one of the attorneys for Richard Vanecko, a nephew of former Chicago Mayor Richard M. Daley, accused of involuntary manslaughter in the death of David Koschman. It's official now: Judge Chris Lawler's 15-vote lead has held up. The Cook County Clerk has certified Judge Lawler the winner, with 4,210, 15 more than the 4,195 received by his nearest challenger, Michael B. Barrett. Barrett, a partner at Barrett & Sramek in Palos Heights, conceded after the certified results were published on Tuesday. “I called Chris to let him know we would not be challenging any of the results or processes or anything like that,” Barrett said. Lawler said the phone call, much like the race, did not change the positive relationship the two candidates have had for many years. For bar association judicial evaluation committees, the March primary followed hard on the heels of associate judge season. Over 270 judicial hopefuls filed for associate judge in February 2013. The bar associations JECs began sending out and sifting through questionnaires shortly thereafter. Meanwhile, the primary season was getting underway. There was, of course, some overlap between those filing for associate judge and those entering the primaries, but the primaries brought still more candidates for the already-taxed JECs to evaluate. To cope with the volume of work, busy JECs have developed some shortcuts. For example, candidates who have sought judicial office before, and who have already been evaluated, are not automatically subject to the full evaluation process each time they reapply. Both the Alliance and CBA send short-form questionnaires to returning candidates; generally, the responses to these questionnaires are sufficient to allow the bar associations to continue to stand by the existing recommendations for these candidates. Still, these credentials have to be 'refreshed' after a period of time. In my own case, I had to go through the full CBA evaluation when I applied for the associate judge class seated in 2012. I had to submit the Alliance long-form evaluation when I applied for the current associate judge process. An easy shortcut is to automatically "just say no" to any candidate who won't participate by completing an initial questionnaire. Another, perhaps more controversial, shortcut is to set minimum guidelines for approval. Legally, one can seek judicial office as soon as he or she passes the bar exam. Most of the bar associations, however, will not consider giving positive ratings to a judicial hopeful who has not practiced law for at least 12 years. But the would-be judge who has not yet practiced law for 12 years is not automatically incapable of doing a good job in judicial office. Illinois Supreme Court Chief Justice Rita B. Garman graduated from law school in 1968. She was an associate judge by 1974. Former Chief Justice Robert R. Thomas graduated from Loyola Law School in 1981 -- and was elected to the circuit bench in DuPage County in 1988. Supreme Court Justice Mary Jane Theis was an Assistant Public Defender in Cook County for nine years, graduating from law school in 1974 -- and becoming an associate judge in 1983. Thus, minimum practice guidelines may eliminate from consideration persons who, despite their relative youth and inexperience, would be fine judges. It certainly discourages younger judicial hopefuls (or those who have taken up the law as a second career) from participating in the evaluation process -- and that's unfortunate. And even with these shortcuts to help move the evaluation process along, every primary season, the bar association JECs are stretched to the limit trying to complete their investigations in time for start of early voting. The Chicago Bar Association got its results out on February 19; the Chicago Council of Lawyers followed on February 26. But some Alliance members were still releasing results well after the start of early voting this year. First-time candidates, the ones are most anxious to find out whether they are deemed qualified or recommended by their peers, are often the last to be evaluated: Their evaluations are the most involved. And we need to increase the numbers of lawyers willing to serve on JECs. So here comes the commercial. The Chicago Bar Association is actively recruiting new members for its Judicial Evaluation Committee. CBA members should visit the CBA home page and find and complete a membership application. Completed applications should be returned to tkurth@chicagobar.org by April 25. If you're not a CBA member, consider joining the CBA. No Alliance member has specifically asked me to plug membership on their JECs at this time -- but I am virtually certain that new recruits (and new members) will likewise be welcomed with open arms. Service on a JEC (or two or three) is one way in which lawyers can contribute measurably to the maintenance and even the improvement of the the quality of the Cook County bench. If you go to court and appear before judges, that should interest you. If you're thinking of running for judge yourself someday -- not in 2016 -- but in 2018 or later -- JEC service would be a good way for you to learn about the evaluation process first-hand. I think I can promise you that you'll come away with a greater appreciation for the quality of the men and women who seek judicial office. And -- who knows? -- if the bar association JECs are sufficiently beefed up, perhaps they can investigate and report on the credentials of all persons who file for judicial office, whether they cooperate or not, or whether they have only six or seven or nine years' of practice in before making a first stab at judicial office. The Executive Committee of the Chicago Bar Association Judicial Evaluation Committee has reinstated the "Qualified" rating previously bestowed on Circuit Court Judge Freddrenna M. Lyle, who fell short in her bid for the Gordon vacancy on the Appellate Court in last month's primary. FWIW readers may recall that the CBA JEC pulled Judge Lyle's rating just days before the primary because campaign commercials being played in heavy rotation on certain radio stations appeared to indicate that the Chicago Bar Association had endorsed Judge Lyle's candidacy. Neither the CBA nor any of the member bar associations of the Alliance of Bar Associations for Judicial Screening issues endorsements in judicial races; instead, these bar associations issue ratings as to whether they believe the candidate Qualified or Recommended for judicial office (different bar groups use one word or the other). The withdrawal of the "Qualified" rating did not mean that the CBA had decided Judge Lyle was not qualified; rather, under the rules of the JEC, it meant that further investigation would be required before a final rating would be issued. Of course, with the rating being pulled on the Friday evening before the Tuesday primary, there was virtually no chance to conduct that investigation before the polls opened, and closed, on March 18. But the CBA investigation is complete now, and JEC Chair John P. Jacoby's April 3 letter to Judge Lyle confirms that the Qualified rating has been reinstated and thanks Judge Lyle for her cooperation with the JEC's additional investigation. Jacoby told FWIW this morning that the investigation revealed that the objectionable language in the commercial was not in either the original or revised script for the commercial. Moreover, Jacoby said, when Judge Lyle learned of the problem she took steps to try and have the commercial pulled. The commercial was not pulled, Jacoby said, because it turns out to be "very difficult in this digital age" to edit or remove commercials that have already been slotted for airing. On the other hand, Jacoby said, Judge Lyle was able to revise the robocalls used in her election day get out the vote strategy to eliminate any mention of the CBA. What if they gave a primary and nobody voted? In Cook County outside Chicago, about 230,000 people -- or roughly 16 percent of registered voters -- made it to the ballot box Tuesday. New Trier Township had the highest showing with about 23 percent turnout, while Hanover Township posted the lowest with about 11 percent. The last lowest turnout for a nonpresidential primary election was in 1998, when a little less than 24 percent of registered voters weighed in on the races. Two years later, when there was a presidential race to be decided, only 23 percent of voters showed up, the lowest presidential primary turnout in Cook in the past 24 years. And, not only was the turnout low overall, the bitter Republican gubernatorial primary sucked what little life there was out of the Democratic primary where the only real contested races were for the Metropolitan Water Reclamation District and for the judiciary (no, I'm not counting Quinn v. Hardiman or Tom Dart v. three challengers -- the outcomes there were never in doubt). There is anecdotal evidence for the proposition that several Democratic ward and township organizations encouraged reliable persons to cross over to the Republican primary and vote against Bruce Rauner. Cook County Clerk David Orr's office has data which, at least for the suburbs, supports those anecdotes: "Republican ballots were cast by 55 percent of voters in suburban Cook County. In the last Gubernatorial Primary (2010) Republican ballots accounted for 35 percent of all ballots cast." Conversely, "Democratic ballots were cast by 44.5 percent of suburban Cook County voters. This is down from 65 percent in the 2010 primary." Now the conventional wisdom is that a low-turnout race favors an established political organization. But the Cook County Democratic Party carried five of six contested countywide Circuit Court races, and one of the two contested races for the Appellate Court. Now, don't get me wrong: Six out of eight is not a bad percentage in any league. But if low turnout is supposed to favor the established political organization, one might have thought that this slate should have had the best possible chance for unanimous success. It's possible that unions and local organizations 'peeling off' some of their voters to try and derail Rauner may have have hurt the chances of the Party's slated candidate for the Gordon vacancy on the Appellate Court, Judge Freddrenna M. Lyle. That race wound up fairly close. But in the race for the countywide Arnold vacancy, the Party's slated candidate lost to Bridget Anne Mitchell by 63,518 votes, 63.7% to 36.3%, a margin that was pretty consistent in city and suburbs both. There were some local variations, certainly: Mitchell got over 80% of the vote in her home ward, the 19th. But it wasn't a situation where the Party 'dumped' their candidate -- or where a lot of committeemen dumped their nominal candidate -- but, even so, the Party carried only one Chicago ward for their candidate in this race (Michael Madigan's 13th Ward -- and only by a margin of 51-49 there). I'm going to go out on a limb here and suggest that -- at least in this election -- the greatest service provided by the Cook County Democratic Party for its slate was, in several cases, clearing the field -- driving out a number of candidates before the election, allowing five countywide Circuit Court candidates and one Appellate Court candidate to run unopposed. Not far enough out on the limb for you? Well, here's another modest proposal: This may have been an election in which the majority of judicial voters (the tiny group that they may have been) were making informed choices. Nevertheless, I'm still going to suggest that this may have been an election in which informed voters made an impact. There is one other lesson I think we can draw from this primary just past and that concerns the need for more lawyers to step up and serve on bar association judicial evaluation committees. But this is an issue I want to devote an entire post to, and I intend to do so soon.